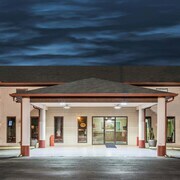 Situated in Hot Springs, this hotel is within a 10-minute walk of Hot Springs Convention Center, Hot Springs National Park, and Bathhouse Row. Oaklawn Racing & Gaming and Magic Springs and Crystal Falls are also within 3 mi (5 km). Situated on the Strip, this spa hotel is within a 5-minute walk of Hot Springs National Park Aquarium and Bathhouse Row. Hot Springs National Park and Hot Springs Convention Center are also within 1 mi (2 km). 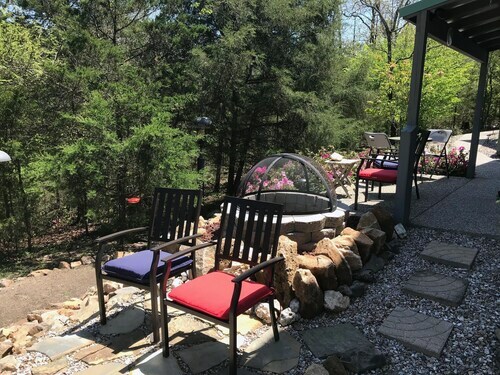 Located in the heart of Hot Springs, this spa hotel is steps from Bank of the Ozarks Arena, Hot Springs National Park, and Hot Springs Convention Center. Bathhouse Row and Magic Springs and Crystal Falls are also within 3 mi (5 km). 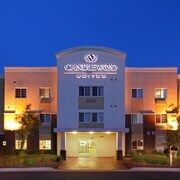 Situated in Hot Springs, this hotel is within 1 mi (2 km) of Family Fun Park and Oaklawn Racing & Gaming. Hot Springs National Park and Hot Springs Convention Center are also within 3 mi (5 km). 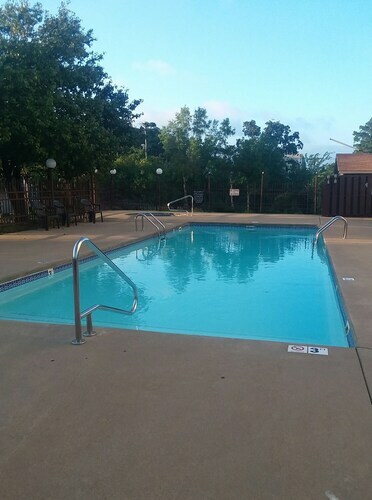 Located in the heart of Arkadelphia, this motel is within 6 mi (10 km) of Arkadelphia Central Park, Reynolds Science Center Planetarium, and Turtle Pointe Golf Club. Arkadelphia Aquatic Park and River Park Amphitheatre are also within 6 mi (10 km). 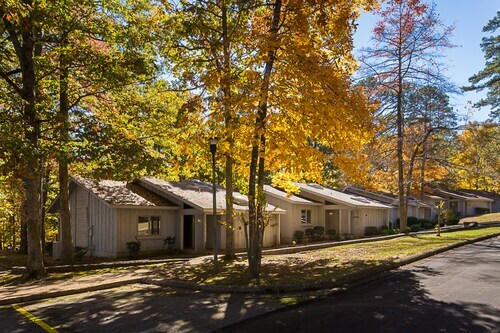 Located in the heart of Hot Springs, this motel is within 1 mi (2 km) of Mountain Valley Spring Water Visitor Center, Hot Springs National Park, and Bathhouse Row. Hot Springs Convention Center is 1.5 mi (2.4 km) away. 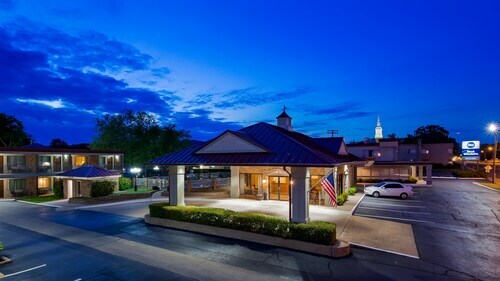 Situated in Hot Springs, this hotel is within 1 mi (2 km) of Bank of the Ozarks Arena, Hot Springs National Park, and Hot Springs Convention Center. Bathhouse Row and Magic Springs and Crystal Falls are also within 2 mi (3 km). 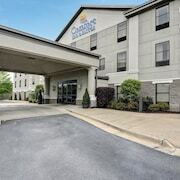 Situated near the airport, this hotel is within 2 mi (3 km) of Oaklawn Racing & Gaming, Hot Springs National Park, and Hot Springs Convention Center. Bathhouse Row and Hot Springs Wax Museum are also within 2 mi (3 km). Situated in Hot Springs Village, this historic property is 3.6 mi (5.7 km) from Ponce de Leon Center and within 12 mi (20 km) of De Soto Beach and De Soto Golf Course. Hot Springs National Park and Bathhouse Row are also within 16 mi (25 km). 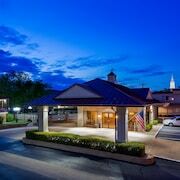 Located in the heart of Hot Springs, this hotel is steps from Hot Springs Wax Museum and Bathhouse Row. 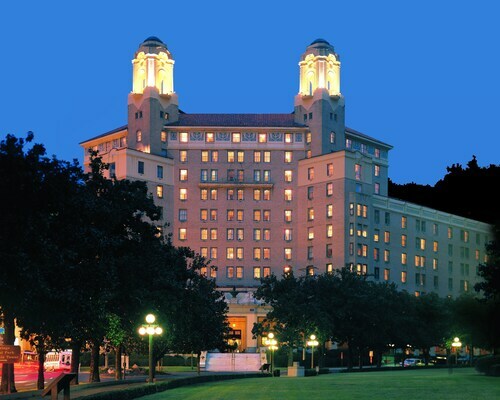 Hot Springs National Park and Hot Springs Convention Center are also within 15 minutes. 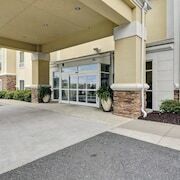 Situated in Hot Springs, this hotel is 2.1 mi (3.4 km) from Hot Springs Mall and within 9 mi (15 km) of Oaklawn Racing & Gaming and Hot Springs Convention Center. Bathhouse Row and Hot Springs Wax Museum are also within 9 mi (15 km). How Much is a Hotel Room in Hot Springs? Hotels in Hot Springs start at $46 per night. Prices and availability subject to change. Additional terms may apply. 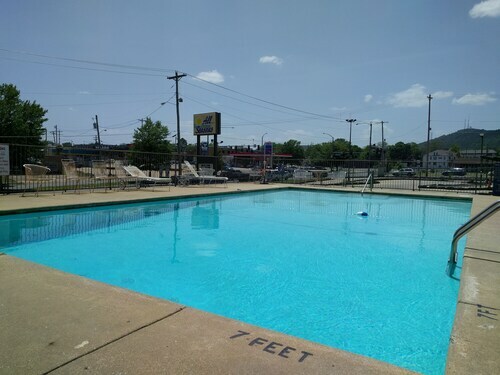 If you have no idea how to begin planning your Little Rock - Central Arkansas vacation, rest assured, because you'll find no end of great hotel and apartment options in Hot Springs. Learn about 33 hotel options within a 6-mile (10-kilometer) radius of Hot Springs's center on Travelocity's handy accommodation database. Where you’d least expect it, lush forests watered by rushing rivers are blanketed by a warm layer of mist. It rises from the surface of natural hot springs like cozy socks pulled up around your ankles. And as you follow the steam to its origin, the sound of waterfalls are also faintly audible in the distance, as if gently whispering “shhh” to the world beyond this oasis. Where is this delectable destination? Hot Springs, Arkansas, hidden in plain sight in the Ouachita Mountains. Browse Travelocity’s incredible selection of hotels in Hot Springs and book your dream vacation to America’s 25th state. The Hot Springs National Park and the Bathhouse Row are popular Hot Springs sights, and a lot of visitors arrange accommodation in the area. Located on the south side of the national park, Bathhouse Row is a historic thoroughfare lined with the original, early 20th-century spas, where people from all over the Ozarks gathered to soak away their troubles in the mineral-rich pools. 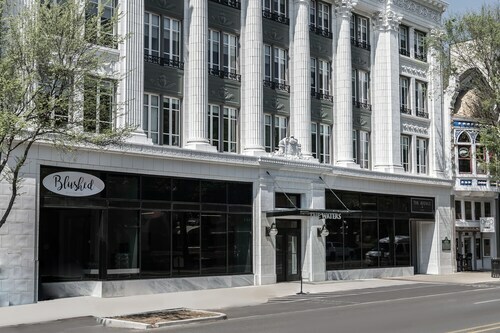 Downtown Hot Springs features a selection of affordable accommodation options that range from simple budget inns like the Country Inn & Suites by Carlson to luxury spa resorts. Running through the middle of the national park, the city center is literally surrounded by exquisite mountain vistas. To the east, hike to The Gorge, pausing first at the Hot Springs Mountain Tower observation deck for a bird’s eye view. 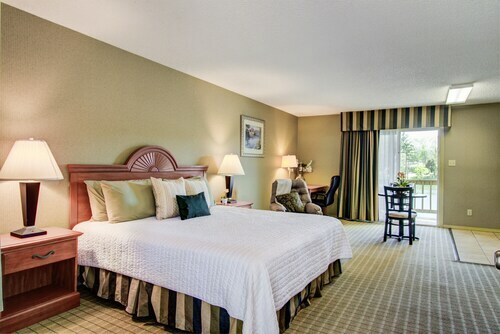 To take full advantage of the city’s secluded and scenic location, book Hot Springs hotels beyond the city center—try the Baymont Inn & Suites. Beneath the open sky and the gorgeous Ozark Mountains, keep an eye on the stars. If your wish is to glide away on an adventure, it’s about to come true, wise wanderer. The days ahead are brimming with relaxation and natural wonder. Inhale the warm vapors of the Ozarks and soak it all in. 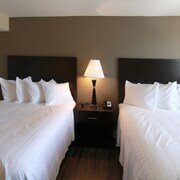 Book a cheap Hot Springs hotel with Travelocity for the best deals available, thanks to our price-matching guarantee. 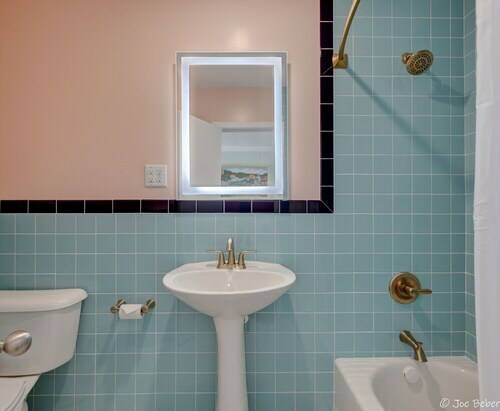 Whether your journey takes you to a historic bathhouse, a mountaintop, or through the cities of Central Arkansas, Hot Springs is the perfect place to call your home away from home. My partner and I were overwhelmed after entering the condo unit because it was awesome! It was beautiful and elegant. Nice hotel. Lady at the front desk was very nice and let us check in early. It was a smoky room with no amenities. It took moving us to 3 rooms before one was completed enough to rent. I would eliminate this one from your list. It is off the beaten path and quiet. The view is beautiful. It is an older property but it is well maintained. Will definitely go back.